The Summer break is almost over and as we head into fall you don't want to lose that vacation glow. What better way to remember your fabulous trip, than to make yourself a pair of vacation earrings or many even a vacation bracelet. Because of eBay, this is easy to do even if you didn't buy any beads or charms while you were on vacation. The first step is search on eBay to find a charm or charms you like that reminds you of your vacation. 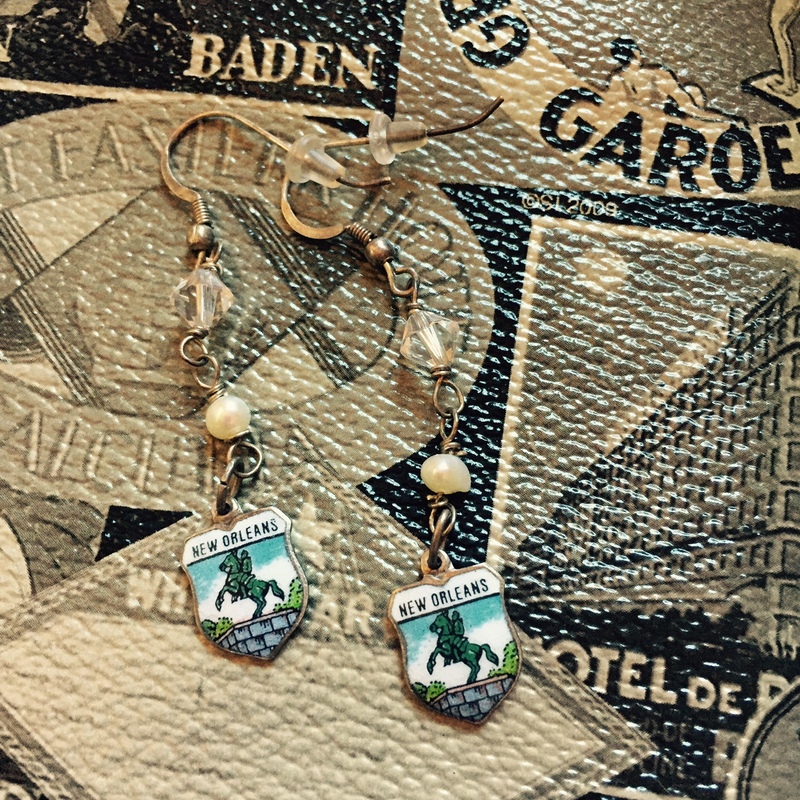 It can be a shield charm like the New Orleans charms above, or just something that reminds you of your vacation, like a beach chair or an airplane. You can also use Google to find charm vendors who make what you want. I found some great Santa Fe charms here. Hook your O-rings into your charms. This will help them hang right. Make sure they are closed. Take your wire, put one of the pearl on it and make loops on either side using your round nose pliers. Loop it into the o-ring before you close the bottom loop. Here's a video that shows you how. Do this again with the crystal bead making sure to attached the top loop of your earring (the one holding the pearl) to the bottom loop with your crystal before you close the loop. Attached the top loop to the earring hook before you close that one. And now you have a beautiful, personal memento to remember your fabulous vacation. Be sure and come back next week for more crafty Thursday.